It's the 11 year birthday of one of the most reputable online casino groups in the business – the Mansion Group – and to celebrate, the group is running a fantastic Birthday Bash at several of its partner sites. Casino.com, a hugely popular online casino among South Africa gamblers, is offering players the chance to enjoy the fun of the 11th Birthday Bash and unwrap a different gift every single day from now until the end of the promotion. This great offer will run until August 9th, giving players ample time to head to Casino.com and check out the prizes in store for them. Play on Mondays throughout the promotion period and for a deposit of just R200 or more, you earn entry into the lucky draw to win an iPad Mini – the perfect gadget to enjoy Casino.com mobile casino. On Tuesdays, players who make a deposit using the bonus code BIRTHDAY will earn a 100% deposit up to R2,500! Using the code CELEBRATE in 'My Account' on desktop on Wednesdays earns you a R100 bonus. 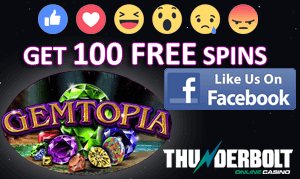 Players who visit Casino.com on Thursdays during the Birthday Bash celebrations will earn double points on any of the fantastic Playtech games in the casino lobby. Heading to the weekend, the birthday celebrations pick up a notch. Players need to enter the code PARTY in 'My Account' on desktop to earn up to R100 worth of scratchcards for which Playtech is so well known for. On Saturdays, players need to deposit using code FUN to earn a 100% bonus up to R1,000, while Sunday wraps up the week with a 50% bonus up to R5,000 using the deposit code BASH. All in all, there is fun in store for all players at Casino.com and other Mansion Group casinos for the entire month of July, as well as the first nine days of August. In the meantime, players should also take note of another great promotion running at Casino.com. The Perfect Escape promo offers players the chance to win a luxury cruise to Alaska simply for depositing and playing the games at Casino.com. For every R300 deposited, players have their names automatically entered into the lucky draw. Casino.com states: "From the extraordinary to the extreme, Alaska has it all. And we're giving you the chance to win a week-long cruise exploring this stunning state."